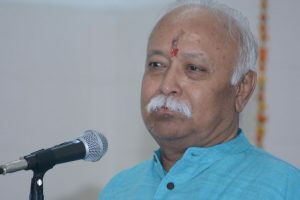 He said that the construction of Ram temple is not related to politics. 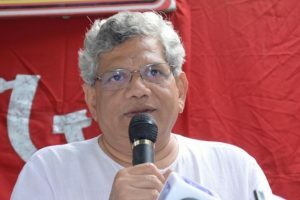 Yechury said that the CPI-M has been campaigning with three missions -- defeat BJP, broaden and strengthen the Left movement and to set up a secular government. 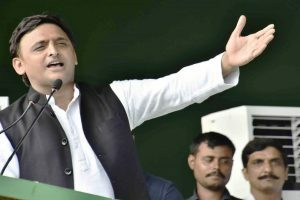 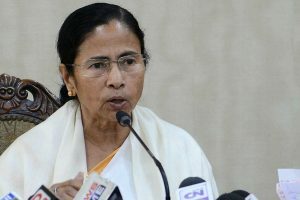 He also warned that the BJP and its affiliates should not do anything that threatened the communal fabric and lead to riots and violence. 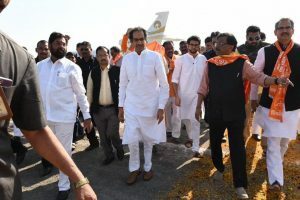 Addressing the media after a 30-minute darshan of the Ram Lalla, the Shiv Sena supremo said no one should play with the sentiments of the Hindus in this matter. 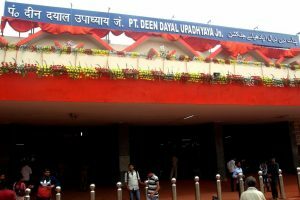 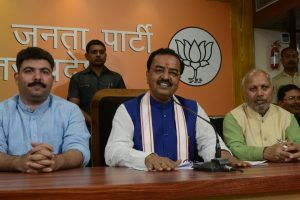 Keshav Prasad Maurya disapproved of the Shiv Sena's push for constructing a Ram temple here, saying the party had no role in the temple movement. 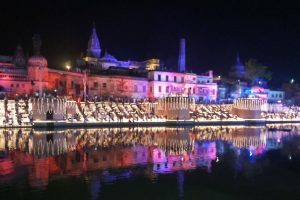 Ayodhya is a fortress ahead of the 'Dharma Sabha' organised on Sunday by the Vishwa Hindu Parishad (VHP) where prominent Hindu seers were likely to spell out their stand and strategy for construction of a grand Ram temple. 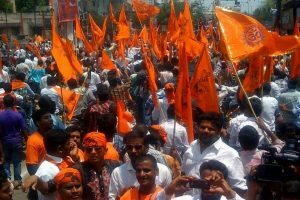 Chandramohan said that Hindu devotees were gathering at Ayodhya for a peaceful programme on Sunday. 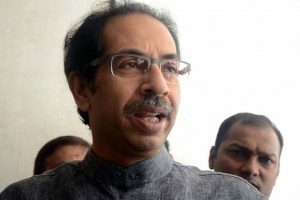 Continue reading "No dispute on what is to be built at Ayodhya, Centre should bring law for Ram temple: Bhagwat"
Shiv Sena chief Uddhav Thackeray took jibes at his estranged coalition partner Bharatiya Janata Party (BJP) over the delay in the construction of the Ram temple in Ayodhya. 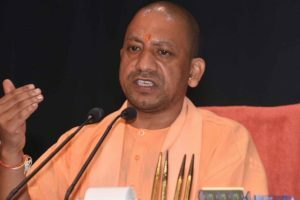 Om Prakash Rajbhar, President of the Suheldev Bharatiya Samaj Party (SBSP), broke ranks with ally the Bharatiya Janata Party (BJP). 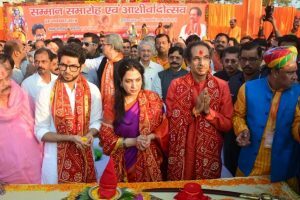 Shiv Sena president Uddhav Thackeray accompanied by his wife Rashmi and son Aditya, embarked on a high-profile visit to Ayodhya on Saturday, aimed at grabbing centre-stage in the demand for constructing the Ram Temple as elections approach. 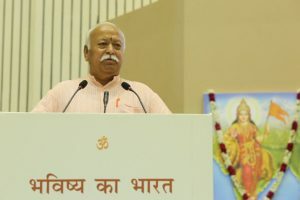 "The Ram temple is the centre of our faith, spirit and reverence," said Rashtriya Swayamsevak Sangh (RSS) convenor Pratap Yadav. 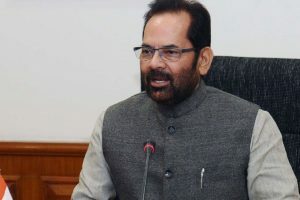 Naqvi also rejected the opposition's claim that the BJP and its Hindutva affiliates were deliberately bringing forth the Ram temple issue ahead of the Lok Sabha elections next year. 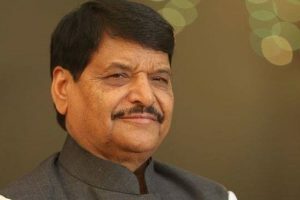 "Lakhs of Ram bhakts will participate in these rallies. 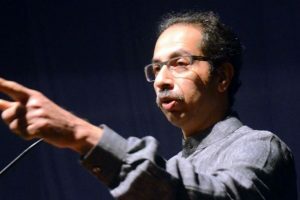 And ultimately, we will wage a nation-wide movement from December 18," he said.